Prevents and corrects the signs of aging caused by UV rays. 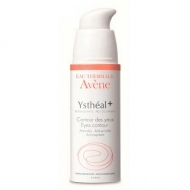 DESCRIPTION: YsthéAL Emulsion Antirides from Avène is an anti aging facial care for normal to combination skin. Formulated with Retinaldehyde and Vitamin E, reactives cell turnover, fighs the signs of aging at the same time that creats a protective shield against free radicals. 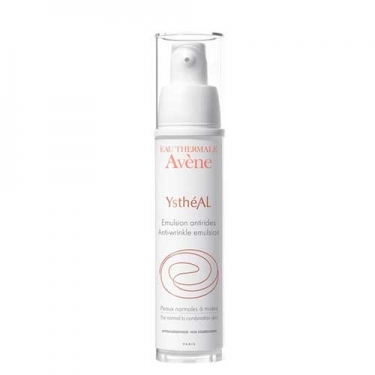 Enriched with Avène Thermal Water, soothes and comforts the skin. The result is a densified skin, light and with fewer wrinkles. Hypoallergenic and non-comedogenic. Without perfume. Clinical efficacy has been proven under dermatological control: 88% of women noticed a visible reduction of wrinkles * The skin becomes more elastic, densified: 40,8% ** The skin becomes radiant: 28,8% ** * 221 women - 28 days. ** 23 women - 8 weeks. Apply at night on cleansed face and neck. Smooth from inside to the outwards of the face with upward movements.